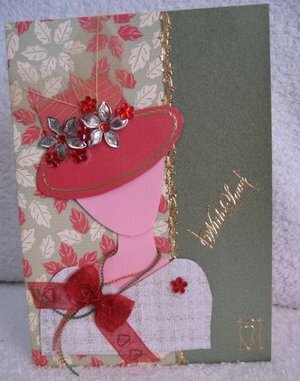 ...for Ladies of a "Certain Age"
This fabulous Red Hat Card is ideal to send to your friends over 50. It celebrates getting older, and having lots of fun along the way. The Red Hat society was started in America but has now spread worldwide. It is a fantastic organisation dedicated to the over 50 who want to spread a positive attitude for other women of a "Certain Age"
They celebrate all things female and organise tea parties, birthday celebrations, cruises and parades, and have a lot of fun in the process. So if you know someone approaching 50 ...with trepidation... then here is an excellent way to make them smile. 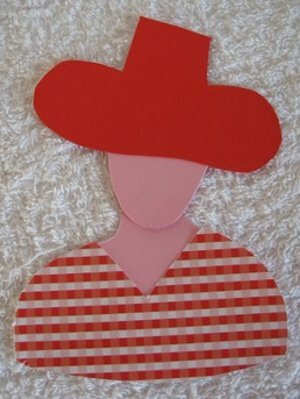 This is the Red Hat Lady we are going to make. But of course you could make the hat green, blue, yellow or pink for recipients of another age group. 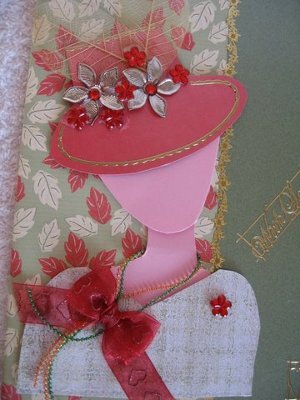 Choose the colors that you wish to use for the dress part of the card and any embellishments that will adorn the ladies hat and neck. 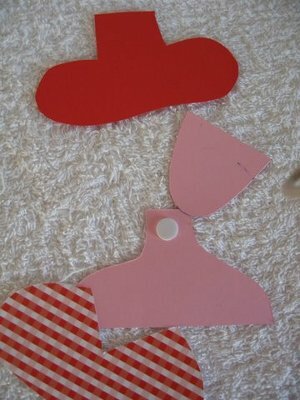 The first thing we need to do is draw out a sketch of the things we will need to form the lady on to some scrap card. I have made mine bold so that you can see what you will need. This will be your template. When you are happy with this cut out the templates. I haven't given measurements for this because you can make it any size you want. Just make sure that all your pieces are relative in size to each other. Now you will need some card for the face and neck/shoulder pieces. There are no features to the face so you won't need to be to worried about lips or eyes. Take your templates and draw around them on the card. 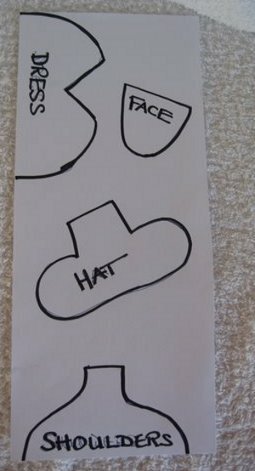 Draw the hat shape onto red card and the dress from some patterned paper in your stash. 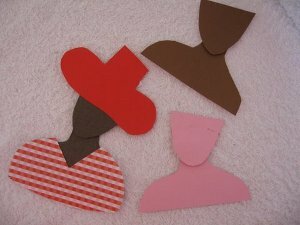 Choose the color card that suits the recipient, here are some examples for different skin tones. It's a good idea to use the shoulder piece when drawing your dress piece,to make sure that the dress covers them perfectly. Keep the pattern on the dress small so that it won't get lost on the shape. Use foam pads to attach the head to the neck/shoulder piece as this will raise it up a little away from the neck to give depth. Tilt the head for effect and fix the hat in place with foam pads. And here she is ready to be added to your card. Add some ribbon, flowers, gemstones and pearls to the lady, and make her as glamourous as you can. 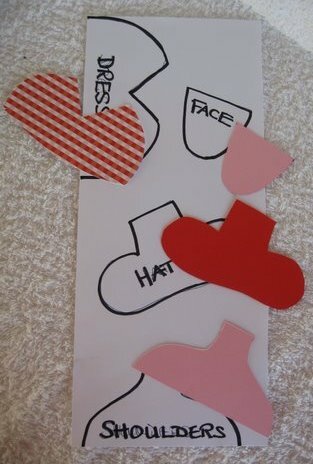 Add a suitable verse for the Red Hatter and then send your card with love.